Located at 12525 State Route 67W, Kenton, OH 43326. 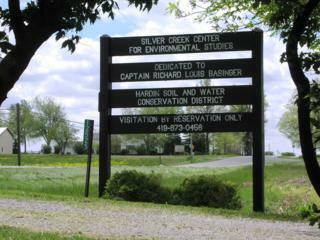 The Hardin Soil and Water Conservation District offers twenty-five acres for visitors to enjoy and includes a self-guided nature trail with markers identifying trees and plants, trails in the woods, a wetland with a bridge to walk over, shelter house, and handicap accessible paved paths at the front of the center. 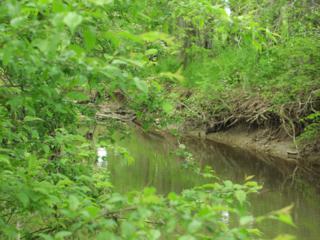 Scenic woodlands, meadow, and streamlet provide a learning laboratory of ecological study. There are two paved trails as well as paths through the woods. 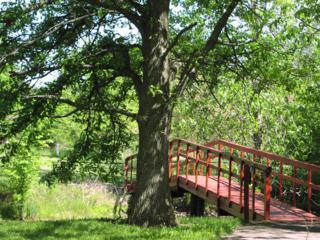 A bridge over wetlands is a great spot for observing the frogs and a shelter house is available. Follow the self-guided nature trail at this learning laboratory for ecological study. A Geocache has been placed in the area. Geocaching is a real-world outdoor treasure hunting game. Players try to locate hidden containers, called geocaches, using GPS-enabled devices and then share their experiences online. Information about the Geocache in these woodlands can be found here. There are no rest room facilities available. Silver Creek is open to any groups or families that would like to utilize the center. If you have any questions, please contact our office. The GPS coordinates of Silvercreek are N 40° 37.526 W 083° 38.974. Directions: take St. Rt. 67 West from Kenton to 12535 St. Rt. 67, turn right at Silver Creek Environmental Center, just beyond the bridge.